Rather than seeing your debts as a problem, what if they could be an opportunity? With a little knowledge, ingenuity, and discipline you can transform those debts into wealth! 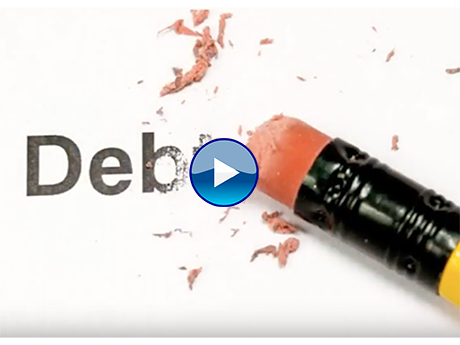 Find out exactly how many debts you have. Make a list of all your loans, credit cards, and monthly payments. Request a copy of your credit report and check it against your list. Determine which expenses can be cut back a little to create extra funds to pay down your debts. Pay off your highest interest debts (i.e. credit cards) first. Minimum credit card payments are designed to keep you perpetually in debt. Pay as much as you can afford, and slowly work towards paying off the entire balance every month. As your local mortgage advisor, we can help determine if you can save money by refinancing your mortgage to pay down higher-interest debts. Once your consumer debts are under control and your interest payments are vastly reduced, use that extra money to make extra payments on your mortgage. With a smaller (or non-existent) mortgage, you'll have ample funds to start investing. Consider purchasing a revenue property that will earn ongoing rental income and asset appreciation. There are you 6 tips to go from debt to wealth! For more information on how to use your mortgage to accelerate your wealth, call us today!